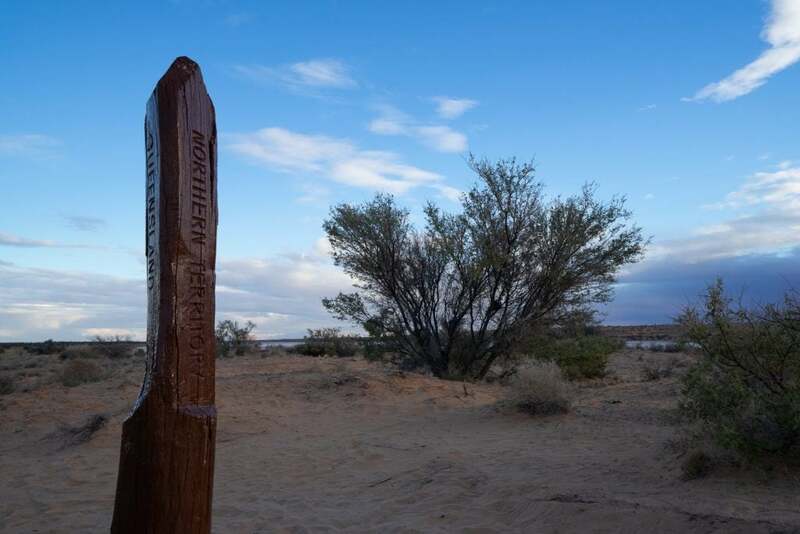 Queensland, the Northern Territory and South Australia collide at the remote point on the map known as Poeppel Corner. 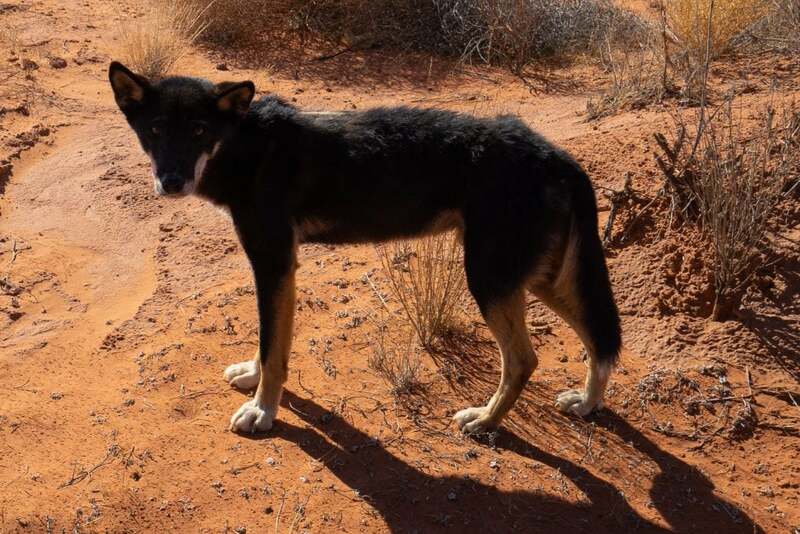 Beyond to the west lies wide open desert. 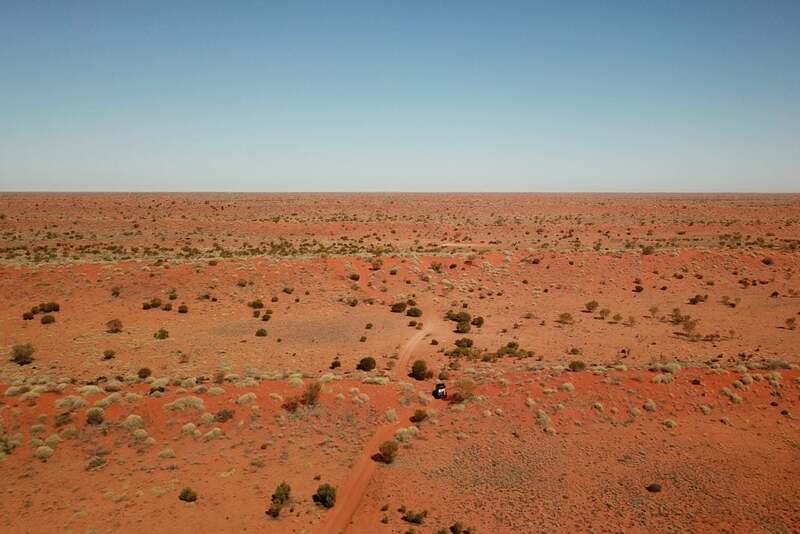 The Simpson Desert. 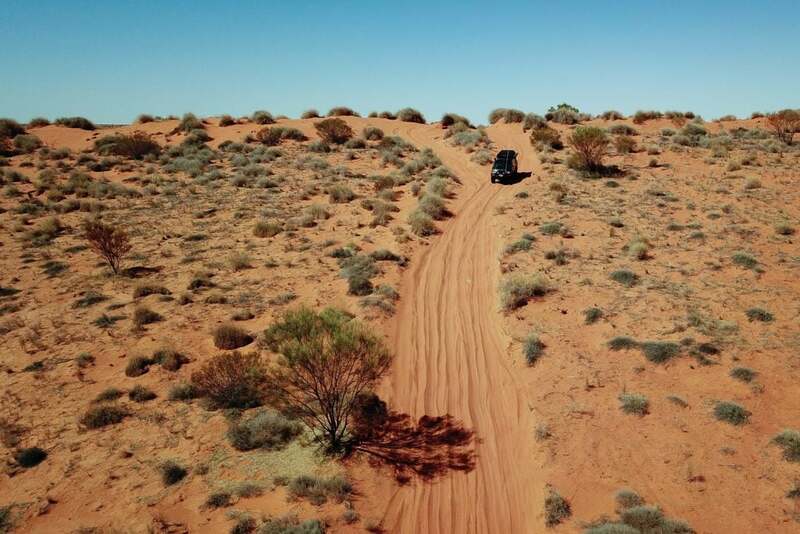 Straight through to Dalhousie Springs from here is one of Australia’s most famous off-road tracks – the French Line. 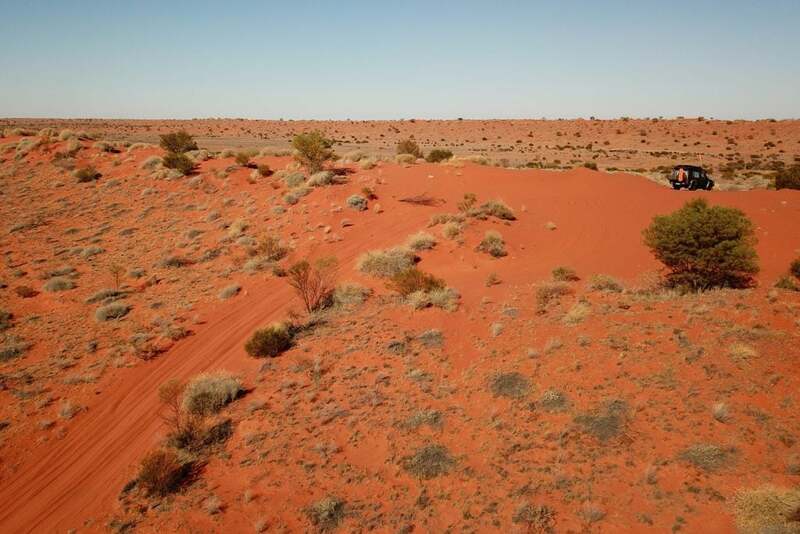 The Simpson Desert is filled with long dunes running north to south, they are the world’s longest parallel dunes, and are stacked in like ocean swells frozen in time. Like a big swell day they are relentless too, and our LandCruiser felt like a small boat crossing a large ocean, picking our way up and over one swell at a time. 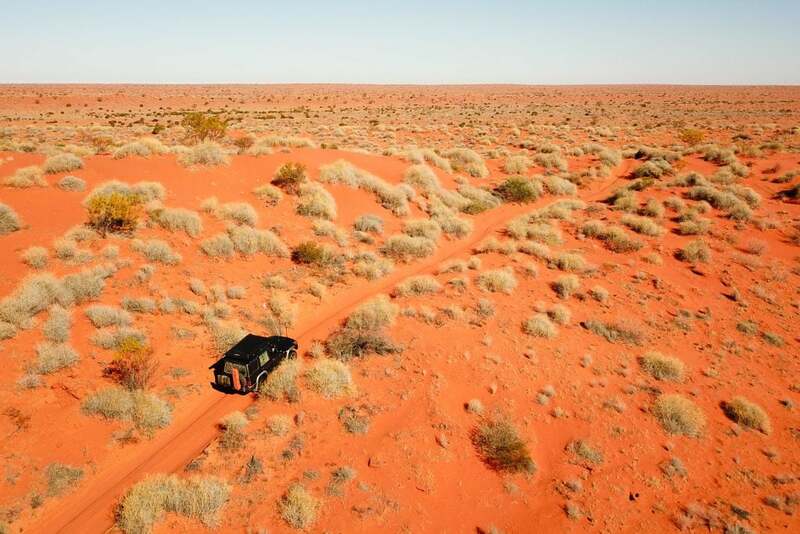 The French Line is the most direct track across the Simpson Desert. 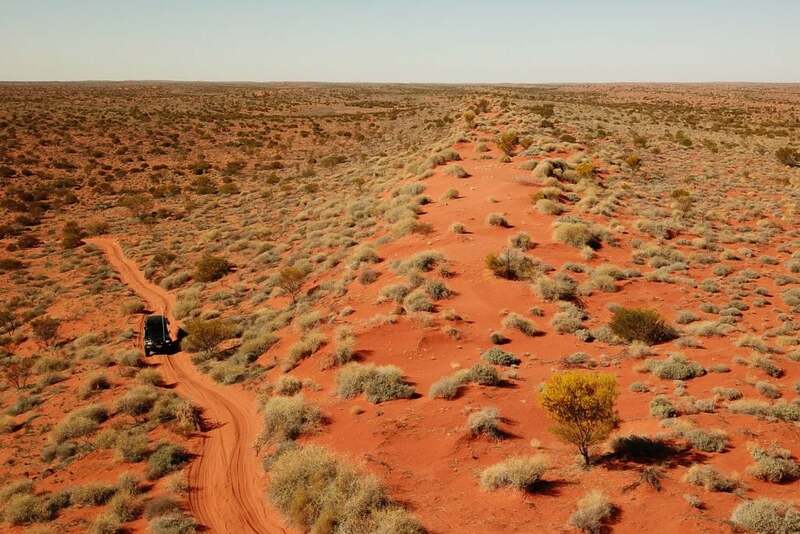 It’s large, steep and wombat holed dunes also make it one of the toughest! 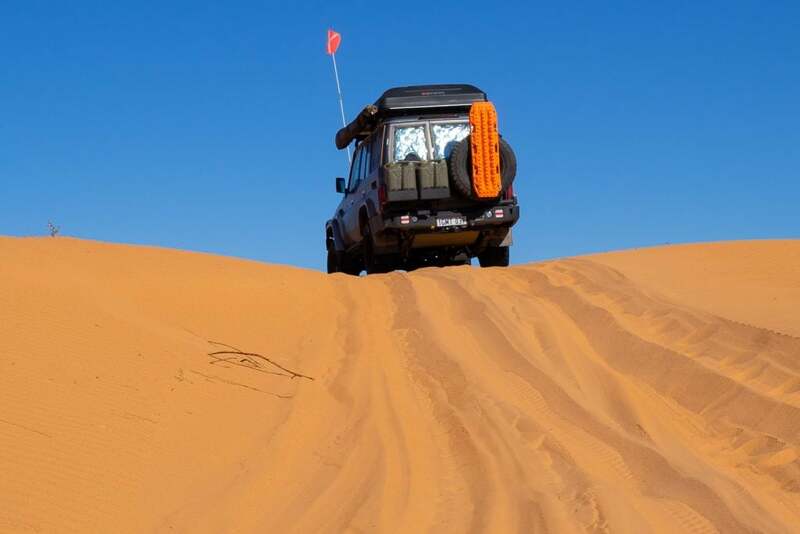 The challenge of picking smooth lines made cresting dunes a blast, and put a smile on our faces all day long. 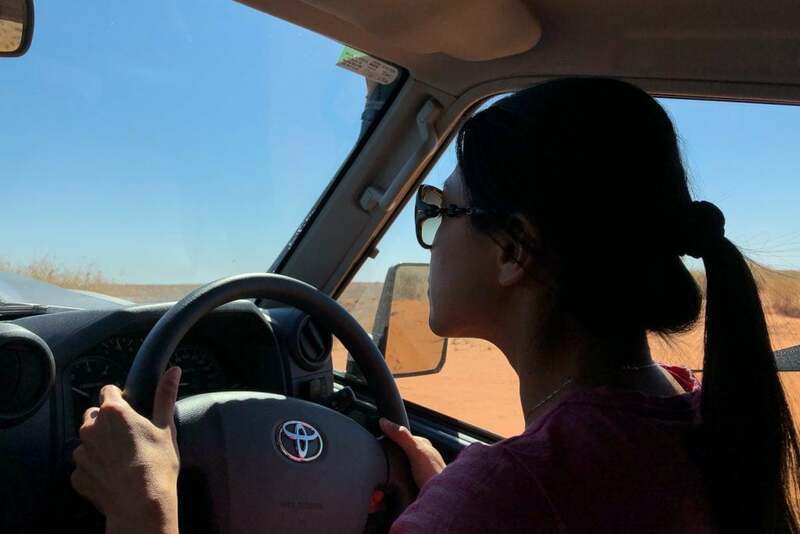 Following heavy traffic earlier in the season, the track was reported to be especially bad and lots of travellers were diverting to the smoother Rig Road to the south. We decided to stick to our plan and the French Line. 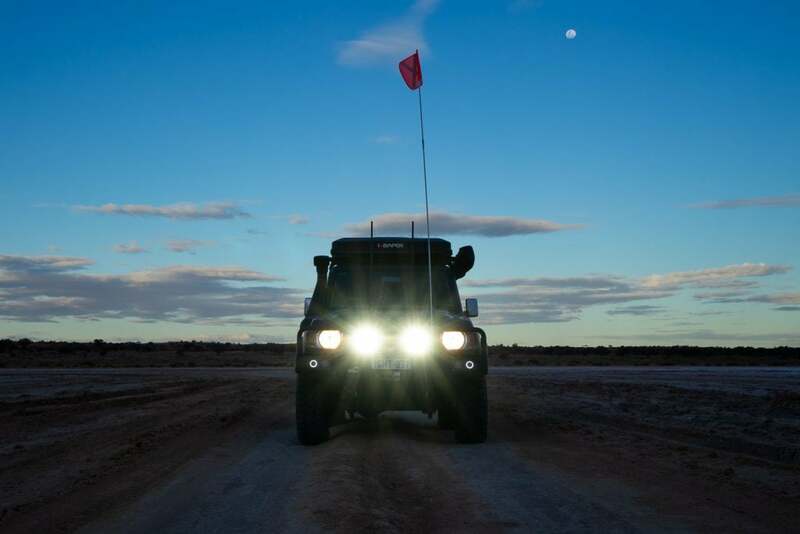 We had plenty of time, fuel and water, so if we needed to go a bit slower over the bumps it wouldn’t be an issue. 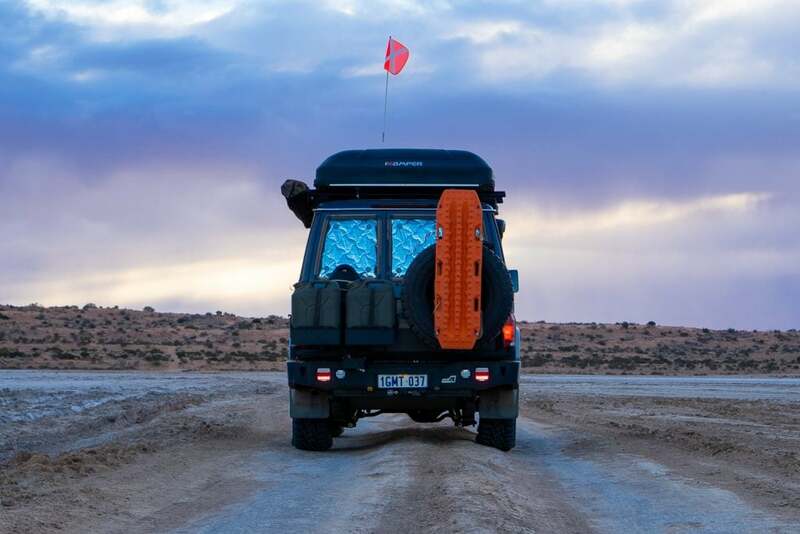 The rough sections between the dunes did make the travelling slow, but they weren’t anywhere near as bad as we had anticipated, that’s not to say the odd smooth patch of clay pan weren’t welcome. 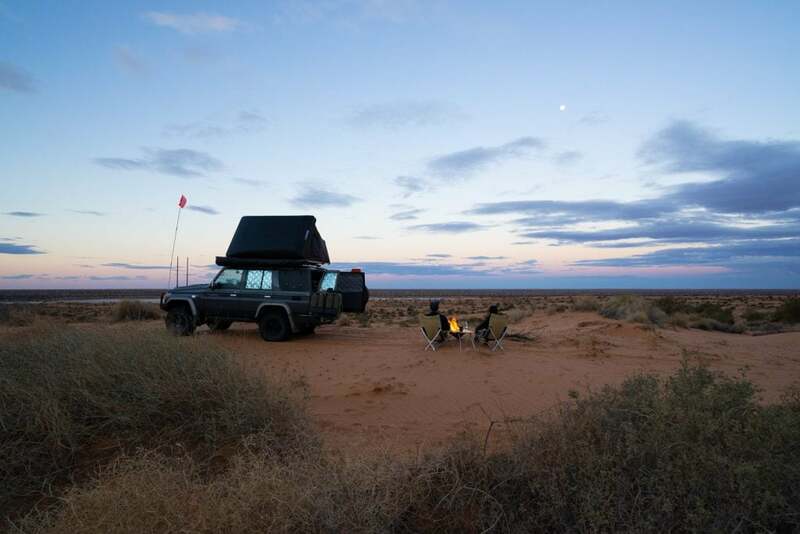 Stunning sunsets, glowing campfires and enormous night skies – if you haven’t camped in the desert you must. 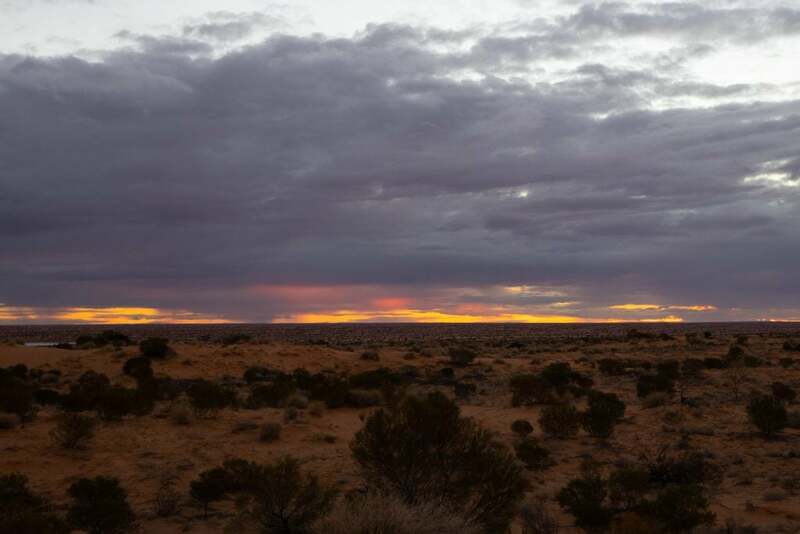 We had amazing campsites to each night and it truly felt as if we were the only people in the entire desert. 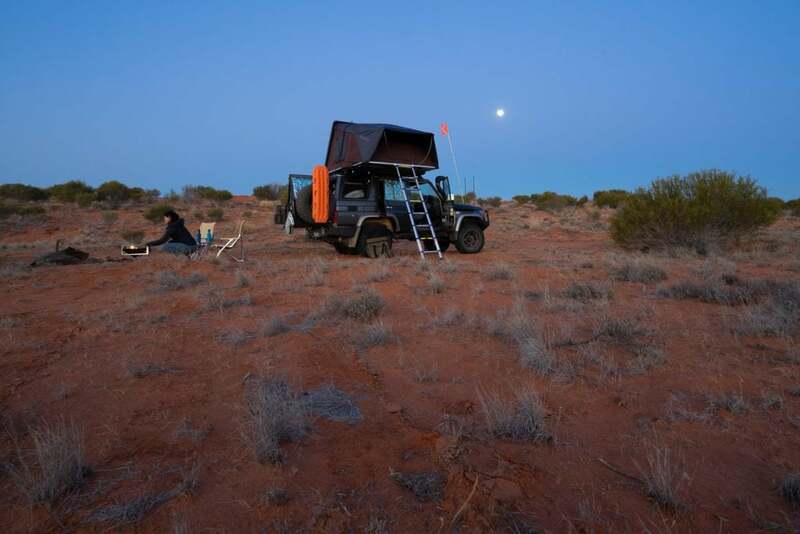 Beyond the adventure, these types of trips are a short cut to simple living. There is a basic routine that feels entirely healthy. Pack tent. Make coffee. Check Cruiser. Drive. Navigate. Eat. Collect wood. Make fire. Cook. Relax. Sleep. No Wi-Fi and no worries. As we approached the west of the desert the dunes became smaller and smaller before disappearing altogether. Just beyond the dunes lies Dalhousie Springs, a truely impressive outback oasis. 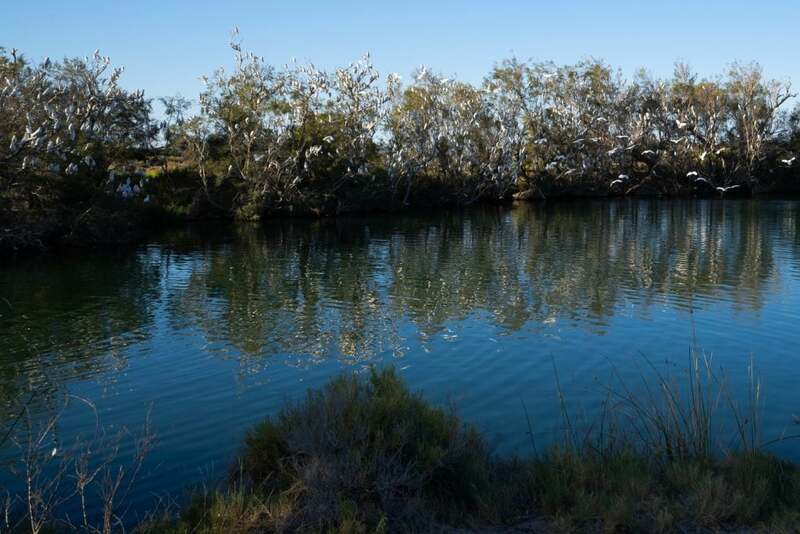 The tree lined banks are filled with birdlife and the clear waters sit at a magical ~40 degrees. We plunged in. The dust of the desert soaked away, far more picturesque and therapeutic than any shower. It was the perfect end to a big day of driving. 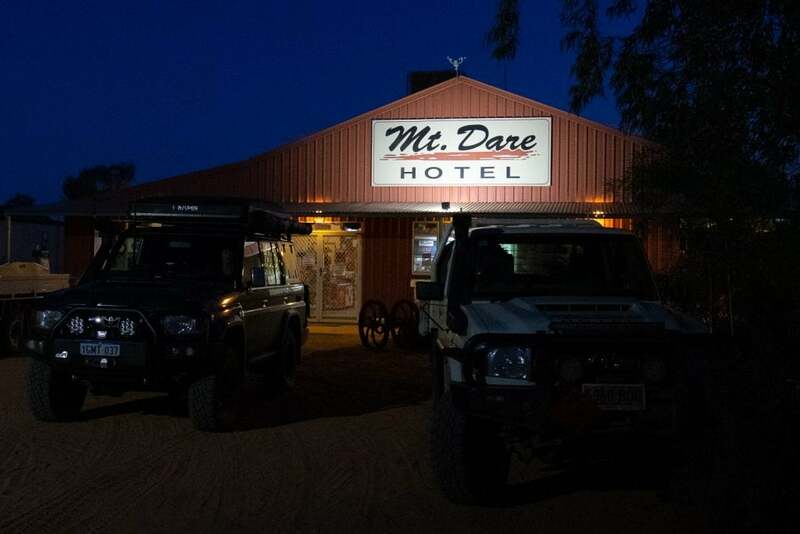 Refreshed we headed a few kilometres up the road to Mount Dare Hotel for a celebratory outback pub meal. What a trip. 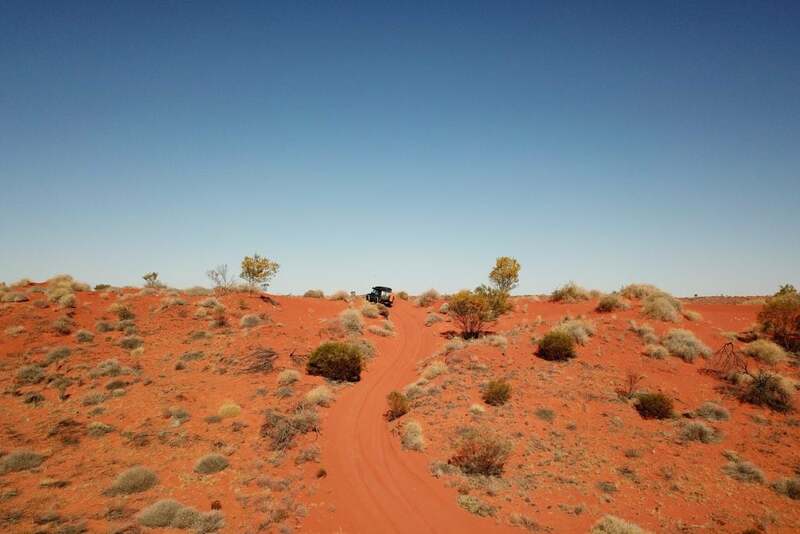 Simpson Desert – we’ll see you again soon!